3.8 out of 5 based on 46 bloggers and 2 commenters. 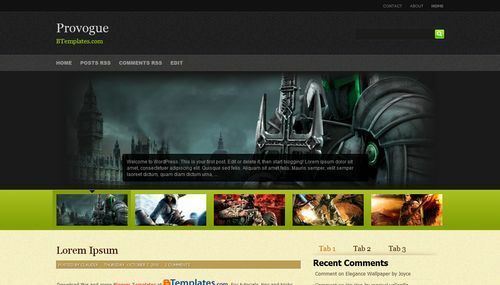 Provogue is a free blogger template adapted from WordPress with 2 columns, right sidebar, slider and tabs. Esta plantilla si sabe usar scripts!!! How can I change the green background of the preview images?